The Medicare Access and CHIP Reauthorization Act, or “MACRA”, passed by Congress in 2015, permanently repeals the sustainable growth rate (SGR) formula and stabilizes Medicare payments for physician services with positive updates through the end of 2019 and beyond. In short, MACRA is aimed at incentivizing quality over quantity. Uncertainty persists over whether or not MACRA’s reforms jeopardize the already shrinking number of smaller practices in the U.S. From 1983 to 2013, the number of physicians in small practice decreased from just over 40% to 17.1% according to a 2015 AMA report. Studies attribute this trend to a preference – especially among younger physicians – for more predictable income and a better work–life balance; all selling points of larger practices. As a consequence, older solo or small practice physicians are retiring and not being replaced. Small practices are still plentiful, however, especially in rural areas, where the lack of larger practices is driven by viability. There are some visible upsides to solo or small practices that researchers find encouraging. Among them, lower rates of preventable readmissions than larger practices, according to one recent study. Add to that, most patients surveyed will always prefer to have a more personal relationship with their provider, which is much harder to cultivate in a larger practice setting. These factors tell us that solo or small practices will remain an integral part of our healthcare system for foreseeable future. The question, then, is how to help small practices adapt to the new reforms. Experts have put forward a number of recommendations. 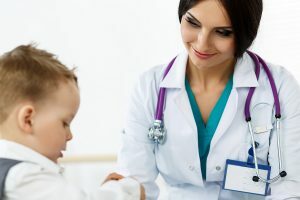 They include building networks among small practice physicians that enable them to share resources, providing technical support, and developing payment models that include grants or loans for investment in necessary infrastructure. Finally, improvements can be explored in the area of health IT so that it can be more of a benefit to smaller practices, rather than a cumbersome addition. RevIgnition Financial Services Professional Business Consulting improves the way your practice does business by revealing ways to improve and increase revenue. Our aim is to reduce your operating costs and increase your overall profitability. We empower our clients by improving marketing efforts and practice productivity. For more information, reach out to us at (844) 297-9944.